Hi, my name is Angela, and I’ve been putting all my free time into creating a one-stop “shop” where people can get information about all the different styles of sunglasses you could possibly want (with a smatter of useful information as well). When you’re searching through my website, you’ll be able to read information and reviews about sunglasses that range from $20 up to almost $300. There should be a pair here to make just about everybody happy, so hopefully you’ll find some in your price range that will tick all the boxes. Already Know your Way Around Sunglasses? If you’re not looking for detailed explanations on each pair of glasses, that’s cool too. You can go straight to my best picks or visit other sections of my website that will give you a sound bite on every pair. If you find some sunglasses you like, you can still click the link to look at the review. All the sunglasses I’ve come across are arranged by different categories and criteria, and they all overlap a little bit. One thing I’ve learned about sunglasses is there are a lot that pull influences from several different styles into one. You may find the glasses you end up liking are just slightly different from the actual ones you were looking for, but that little change gives them an entirely divergent look. If you want more information on the different types, check out my style guide here. Getting the right pair of sunglasses isn’t all about finding frames you like and lenses that look spiffy. In fact, there are a lot of frames you might love that don’t look right once you try them on. There are plenty of things you can do to help narrow down your search for the best pair. First, you can read about how to pick glasses for your face shape. Round, Square, Oval, Heart Shaped, there’s something for everyone! When you have a good idea of the right size and shape, you can select your color by looking into choosing the best color for your skin and hair. Once you have this “knocked”, you can figure out more about sizing and what glasses you need to look for. There is plenty to choose from in the sunglass world, and the price is never as important as what you’re getting for it. That being said, you need to make sure you’re getting protection first and quality as a close second. If you have both of these, there really isn’t anything standing in your way except for finding the pair you like most. Now that you’ve had a chance to explore all the different sections on getting the best sunglasses for your face shape, style, and needs, here are some of my picks for the best in sunglasses across the board. 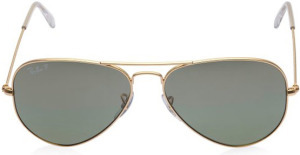 Ray-Ban RB3025P Aviator Polarized Sunglasses offer the classic and simple aviator style with a traditional teardrop lens and unisex appearance that will suit just about anyone. They’re great for almost all faces, and they come in many colors and styles. You can’t go wrong with a pair of Ray-Ban RB2140 Original Wayfarer Sunglasses. These are called “original” for a reason. They have the staying power of a classic because that’s what they are, and they appeal to just about all ages and demographics. 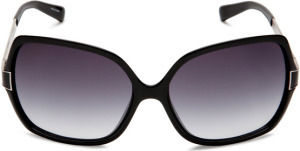 The Marc by Marc Jacobs Women’s MMJ 122/S Resin Sunglasses are the perfect combination of glam and functionality. They are simple but elegant, and they’re never, ever boring. They offer just enough coverage with the right amount of pigment, and there are oh-so-many options! The Maui Jim Breakwall Sunglasses have a frameless appearance that makes them look so sleek, but they also offer a durability that similar glasses don’t have. They can take much more of a beating than typical frameless options, so if you’re someone who constantly breaks sunglasses these are worth looking at. If you need glasses that can take a beating and still follow you in day to day life, the Oakley Men’s GasCan is probably your best bet. They have a sturdy frame, replaceable lenses and the right price point so you can enjoy the ski slopes or go to a backyard barbecue. 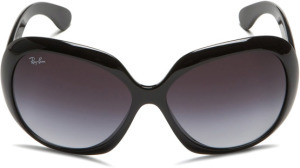 You won’t find anything more “out there” than the Prada PR27NS. They’re not for everyone, but they are most certainly for someone! Polarized lenses work well for fisherman (because of the reflection off water). The very aptly named Flying Fisherman Maverick glasses are highly rated and VERY reasonably priced, which makes them a winner in my book. Yes, I know, another pair of aviators. However the American Optical Original Pilot sunglasses are high quality and scratch resistant (thanks to the amazing glass lenses), and they’re priced at such a good rate that I just couldn’t leave them out. They’re good enough for the Air Force and astronauts, so they’re good enough for me. The ability to handle things up to and including explosions makes the Spy Optic Dirk my pick for best glasses for men. They’re sleek enough to be worn all the time, but they’re also strong enough to be used for just about anything. The best women’s sunglasses award goes to the glasses named after the defining style icon of the century. The Ray-Ban women’s Jackie OHH II take the prize for beauty and classic style. The first thing to figure out when you’re looking for sunglasses is the purpose they will serve. Do you want them for water sports? Strutting down the sidewalk? Running? Driving? Skiing? If you can answer that question, the rest will fall into place with the use of a couple of my valuable guides (if you need them). Should my Sunglasses be Polarized? 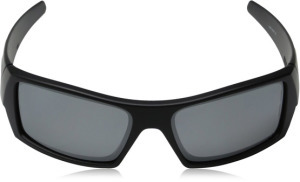 Polarized glasses are generally used for water sports and activities in the snow that can be hindered by too much glare. Nowadays, we use them for much more than that, but it doesn’t mean you need to spring the extra money to get polarized glasses rather than the regular ones you love. There are some people who love polarized lenses and others who are not big fans. If you’re not sure where you fall, read about the differences between polarized and un-polarized lenses to help make your decision. Do I Need To UV Protect My Eyes? UV protection is no joke. In fact, it could be the one thing that saves you from contracting a serious eye disease especially if you spend a LOT of time in natural bright light. There are ways to make sure you’re getting the UV protection you need out of your eyewear, and I go over all that right here. If you thought the above was enough to ponder over, the types of lenses and frames make a difference too. There are pros and cons to polycarbonate and glass lenses, as well as frames made of metal or plastic. It’s definitely a personal preference, but I can help you sort through what will make you happiest. Just take a look at the sections I’ve added that discusses materials and construction. Why should you invest in a pair rather than just buy some you find at the drug store? This is important information to have, and there are some pretty big differences to think about. That doesn’t mean you should buy the most expensive pair, but it does mean you should contemplate stuff like how long you want to have them and what you want to do with them (other than shield your eyes from the sun). My reviews can certainly help in this respect, and if you need more help on the difference between cheap and expensive sunglasses, you can find it here. I hope the reviews and information here helps you make the best decision with regards to your next set of shades. I think I’ve pretty much narrowed my list down to the pair I can’t live without, but I love that I have literally ten backups if I decide I want another pair (there is hardly anything I like more than a pair of sunglasses that fit well and helps to finish off my outfit. Whether I’m trying to look like I’m tough as nails or flirty and girly, I can get all of that with the right shades. It’s probably why I have about a billion pairs). It did take a lot of work to find out everything you see here, but I’m glad I did or I wouldn’t have been able to share it with you! Feel free to scroll around and see if you can find the perfect pair of shades for you. You’re also more than welcome to use my website as a place where you can just find out more about the world of sunglasses (there’s no hard sell here). Keep rocking out, my friends. Now you can do it with some amazing new sunglasses.